Yesterday we got to know about the Xoom 2 through some pics and vague info regarding the specs. But more specs are now surfacing thanks to the folks at the verge. 1 GB of faster RAM – does it mean ddr2 ? like in Atrix ? Other details include Adobe flash player 11 support (Supposedly the first tablet to feature this), Home automation software to be included (IR support in hardware ? ) and some built in moto apps for wirelessly syncing with your PC. Let’s just hope all these rumors are true. 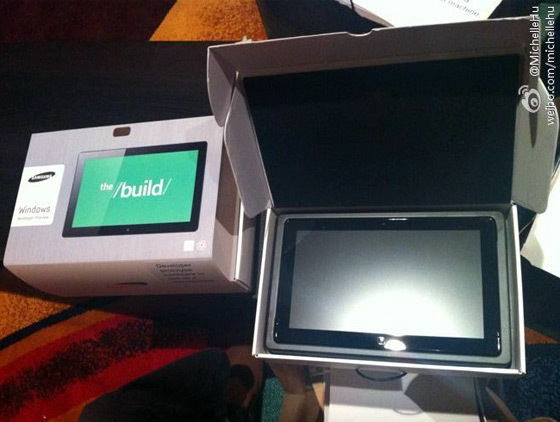 According to a weibo user by the name of Michelle Hu, the above image is of the first Windows 8 tablet made by Samsung, that is to be distributed to devs at BUILD conference that’s starting in 3-4 hours. This looks strikingly similar to the series 7 slate tablet Samsung launched recently. In fact, they said the same slate will get upgraded to Windows 8, according to the verge. This tablet supposedly runs an ultra low power version of an intel quad core CPU, most probably the core i5.But the jury is still out on this, it may run ARM based Nvidia Kal-El too. We’ll know for sure, soon. 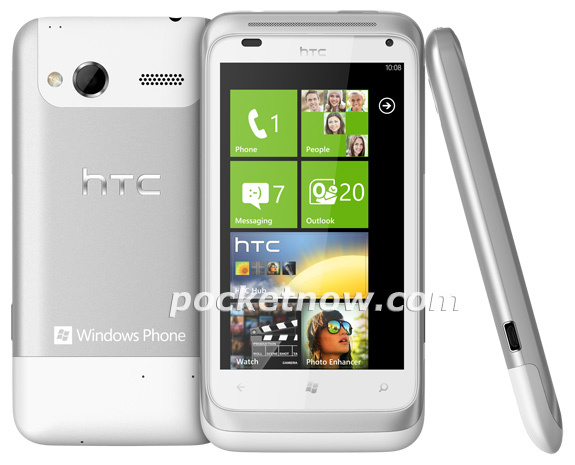 This is fast, i reported few days back that the HTC Omega has broken cover in the form of press shots. Expected that it would be revealed at the September 1st windows phone event, but it has already gone on sale from an individual at a french auction site. I really like the looks of this phone which resembles a mini flyer tablet. 3.8 inch Display, a 8 megapixel camera, 1.5 GHz MSM8255 Snapdragon with 512 MB RAM. Also, the front facing camera is a possibility. Oh, here we go. The next version of the *flagship* pure Google phone has been rumored as manufactured by Samsung, but never had any concrete proof. Well, talking about proof, see this image below. The above email you see is a cease and desist letter sent to a developer to stop using the “Nexus Prime” firmware. Yup, the Nexus Prime is made by Samsung, you can now shut down the LG/HTC rumors and start guessing whether if it will be a SGS2 clone like the Nexus was a NFC clone of the galaxy S.
I guess the Samsung legal time will have a hard time explaining this to their bosses. The first impressions after looking at this below leaked photo from Pocketnow (the leakmeisters), i was reminded of the flyer design and hey Windows Phone Mango !? Made in a gorgeous silver-white body, this HTC phone had already done it’s rumor rounds when they announced the September 1 event. The rumored specs are : 3.8 inch Display, a 8 megapixel camera, 1.5 GHz MSM8255 Snapdragon with 512 MB RAM. Is that a Front Facing Cam in that picture ? The 1.5 GHz bit is to be taken with a pinch of salt, otherwise the specs look ok. Another higher end HTC WPMango in the name of Eternity is set to launch along with Omega at the September 1 event. Ok, Pocketnow where is the Eternity , out with it already ! Jokes aside, we dont have to wait too long as the event is not so far away. 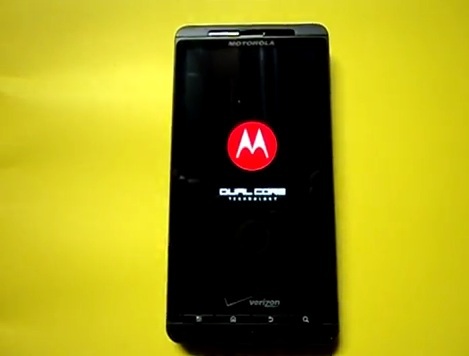 Droid X2 to be dual core ? Video says so ! Someone named AndroidBandit has uploaded a video that supposedly shows Droid X2 booting up and the juicy stuff is, the boot screen says it’s dual core ! 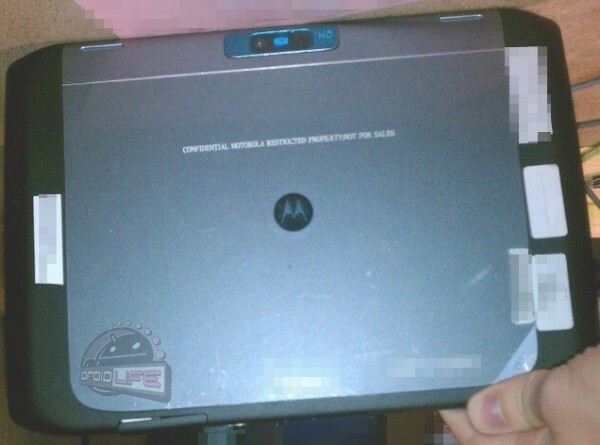 I guess its the Samsung Cetus , already leaked by mr.blurrycam on Engadget . The video shows the awesome UI , the Metro UI of the Windows phone 7 and as we can see its very fluid.The biggest feature of this video is the home automation done using the Windows Phone 7,the phone can be used to open the garage doors, oh how useful can it be? just park outside the garage,connect to your in-home wifi, open the garage!! 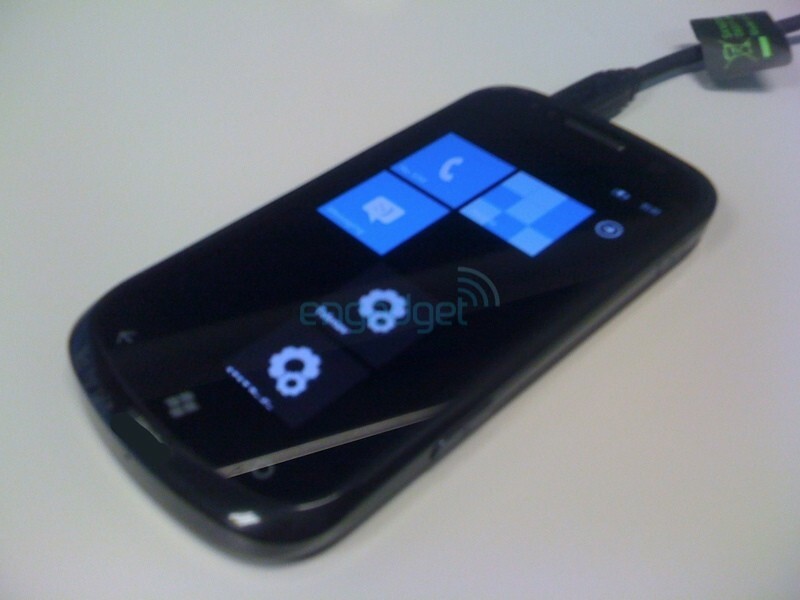 no need to get down,open and then close it again.Its just innovation that will help you, and thats windows phone 7. And coming to the hardware, i guess it features a 4 inch AMOLED screen , looks amazing, right? Well, about the UI, i have to say, it looks gorgeous… Microsoft is gonna be full-guns blazing when they are ready to launch the devices.